Nobody wants to end their season with a loss. However, that is precisely what 67 of the 68 teams invited to the NCAA Tournament will do. For Jordan Loveridge, Brandon Taylor, and Dakari Tucker, the sting of the loss hurts even more as their collegiate careers are now over and they move on to a new stage of their lives that may or may not involve the game they love. “The emotion we’re feeling is because it’s over for some of these guys,” Krystkowiak explained. At least Utah advanced one round in the Big Dance, something five of the seven Pac-12 teams invited to the ball failed to do (even though they were all the higher-seeded team and favored to win at least their first game). The Runnin’ Utes are in good company outside of the Pac-12 as well. No. 2 seed Michigan State (whom many commentators thought deserved a No. 1 seed going into the tournament) lost its opener to Middle Tennessee, third-seeded West Virginia lost its opener to Stephen F. Austin, and second-seeded Xavier also failed to live up to its seed and advance to the Sweet 16. However, I don’t want to get caught up in schadenfreude by taking joy in other teams’ failures, or justifying Utah’s lack of success by comparisons to other schools that failed to advance in the dance. That’s the beauty and the beast of the Big Dance — upsets can and do happen. Instead, I want to echo Coach Krystkowiak’s pride in the Runnin’ Utes and what they were able to accomplish. 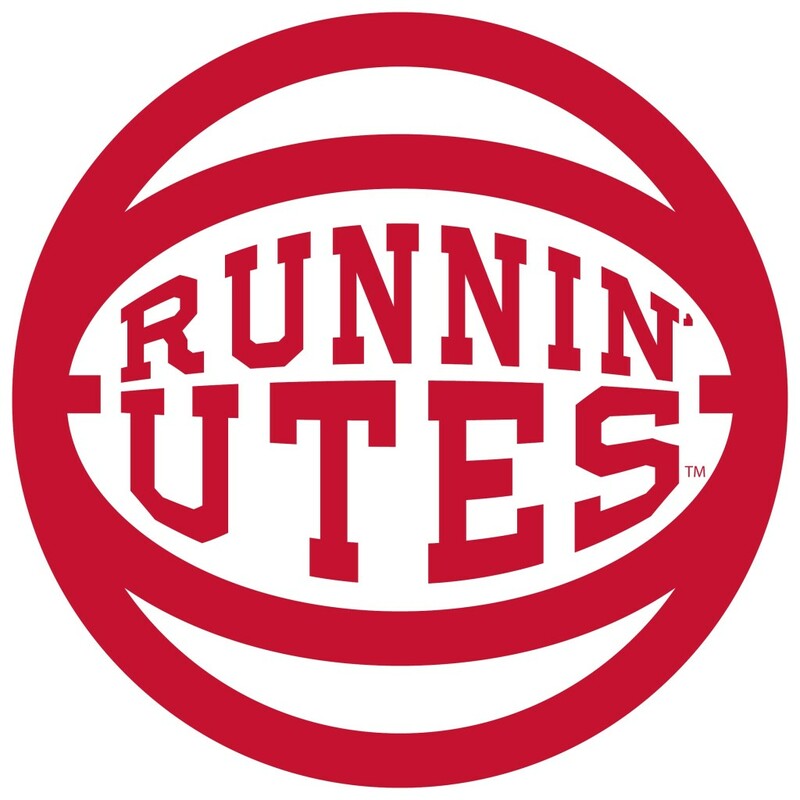 The really good news for Utah fans is that this program now has a solid foundation on which to build in years to come, with a bevy of talented players waiting in the wings for their turn to step onto the court and shine for the Runnin’ Utes. As exciting as this season has been, I am even more excited about what might happen next season. Speaking of excitement, with a wink and a nod to the ground-breaking advances in heart surgery at the University of Utah, the Red Rocks are the current version of the cardiac kids with their incredible comeback at the Pac-12 gymnastics tournament over the weekend. 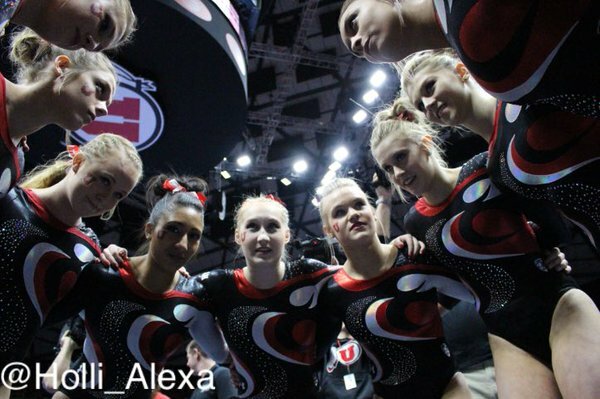 Utah stumbled, literally, right out of the gates in their first rotation on the beam. The very first gymnast to perform for the Red Rocks fell off the beam, leaving no margin for error in the remaining routines. However, a second Utah gymnast would fall off the beam two routines later, meaning the Red Rocks had to count a fall in the final beam scores. When all is said and done, gymnastics is still a team sport, and individual efforts and scores matter more so than in any other team sport. Perhaps that is one reason why I find gymnastics so compelling — incredible individual efforts and performances that collectively contribute to a team effort and combined score. But climb they did, as Utah stood firm in the face of adversity and these talented ladies proved their mettle with outstanding performances (and many career-high scores) to save the day. The remaining competitors on beam put up strong scores to keep the Red Rocks in the hunt. After a strong performance on floor in the second rotation, Utah surged all the way back to a three-way tie for second place. In the third rotation, Breanna Hughes stuck a stunning vault. This season, vault scores have been depressed as the scoring has changed significantly. However, Hughes’ vault was still rated a 10.0 from two judges, resulting in a meet best (and career high for Hughes) 9.975 score. The overall strong performance on the vault left the Red Rocks in second place all by themselves. Ultimately, Oregon State caught Utah at the conclusion of the fourth and final rotation — as the last Beaver performer put up a 9.95 score on beam — for a tie for second place as UCLA led the meet from start to finish. The really good news was the overall dominance the Red Rocks displayed individually in each of the events. Breanna Hughes won the all-around, followed closely by Baely Rowe in second. Hughes also won the vault, Rowe also tied for first on beam, and Tiffani Lewis tied for first on floor. Additionally, Hughes was named the Pac-12 Women’s Gymnastics Scholar-Athlete of the Year, Sabrina Schwab was named the Pac-12 Freshman of the Year, and Kassandra Lopez was named the Pac-12 Specialist of the Year. In other words, notwithstanding a small stumble at the Pac-12 Tournament, the Red Rocks are loaded with talent and will be ready to prove themselves once again at the upcoming regionals, which are hosted on The Hill on Saturday, April 2, with an inevitable return to nationals. Here’s wishing only the best for the Runnin’ Utes, who will be moving on after this season, and hoping the Red Rocks can bounce back at the regionals en route to yet another appearance in the national finals.